Melton Indoor Bowls Club’s junior section enjoyed another fine weekend with both team and individual success. 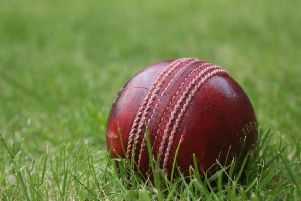 Young Alex Warrington reached the semi-finals of a tournament involving up-and-coming bowlers from around the country, while Melton’s under 25s team beat Charnwood to remain top of their league. A quartet of young Melton bowlers joined a 32-strong field at Rugby for the second annual U16 Bowls4Fun Tournament. In the round robins stages, Alex lost 5-3 to Egham’s Rebecca Fey, but recovered to defeat Millie Adkins (Bromsgrove) 6-1 and Ellie Payne 6-3 to earn a second place in Group Four. Clubmate Toby King topped Group Six with a 100 per cent record after 5-3 victories over Carlton pair Fynn Kyser and Henry Smith, and 8-4 win against Alice Atkin (Church Gresley). Paul Warrington also finished top of his group after wins over Ellie-Mae Hamblett (Barwell) and Joseph Noon (Church Gresley) before drawing 4-4 with Rebecca Turner (Riverain). Brandon Giblett also qualified doe the last 16 knockout stages as runner-up spot of Group Eight, losing 6-2 to Jordan Ward (Rugby) before defeating Mackenzie Murray and Eloise Collins (Erewash). Alex and Paul both booked their places in the quarter-finals, beating Max Mackinnon (Riverain) 4-3 and Oliver Sloan (Gedling) 6-4 respectively, while Toby lost to Tom Wheeler (Rugby) and Brandon was knocked out by Alfie Knight (Rugby). In the last eight, Alex won 5-0 against Cauly Swift (Northampton), but Paul was defeated by Tom Wheeler who then claimed his third Melton victim by defeating Alex 4-2 in the semi-finals after a gallant battle. * Melton IBC’s Under 25s team of Ethan Giblett, Paul Warrington and Jordan Butcher took on Charnwood’s Lewis Widdowson, Bradley Freer and Liam English, looking for a third win to maintain top spot in the new Midlands League. After a nervous start from both teams, with neither dominating, Melton were first to settle and built an 11-5 lead at the halfway stage. Refusing to give in, Charnwood applied the pressure to win three shots on the next end, but Melton did not rest on their laurels and produced some brilliant bowls in a high quality match to ease to a 21-10 win. Unbeaten Melton have now won three of their four matches ahead of last Tuesday’s home match with Church Gresley and Saturday’s trip to South Forest.